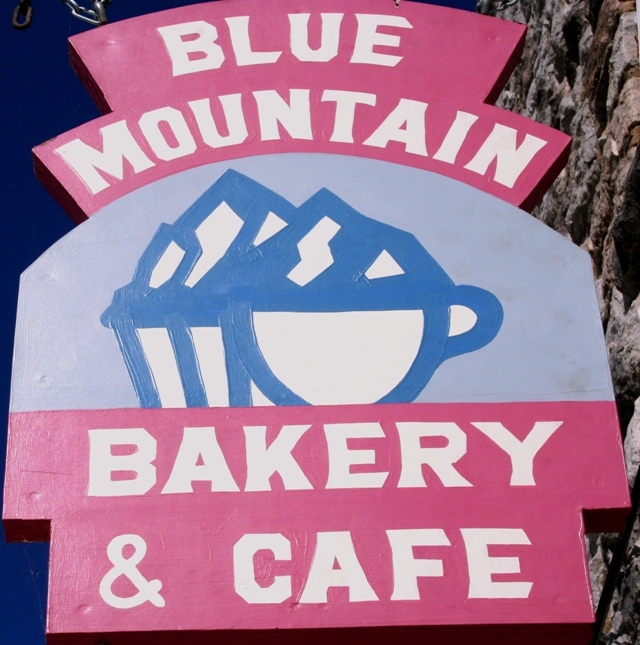 Blue Mountain Bakery & Cafe on the corner of Jasper's downtown Public Square - Hometown friendly staff. They bake everything from scratch. You can order breakfast, delicious baked goods all day long, delightful fresh salads, and enjoy amazing pizza that will keep you coming back for more. Big servings; if you leave hungry it's your own fault! 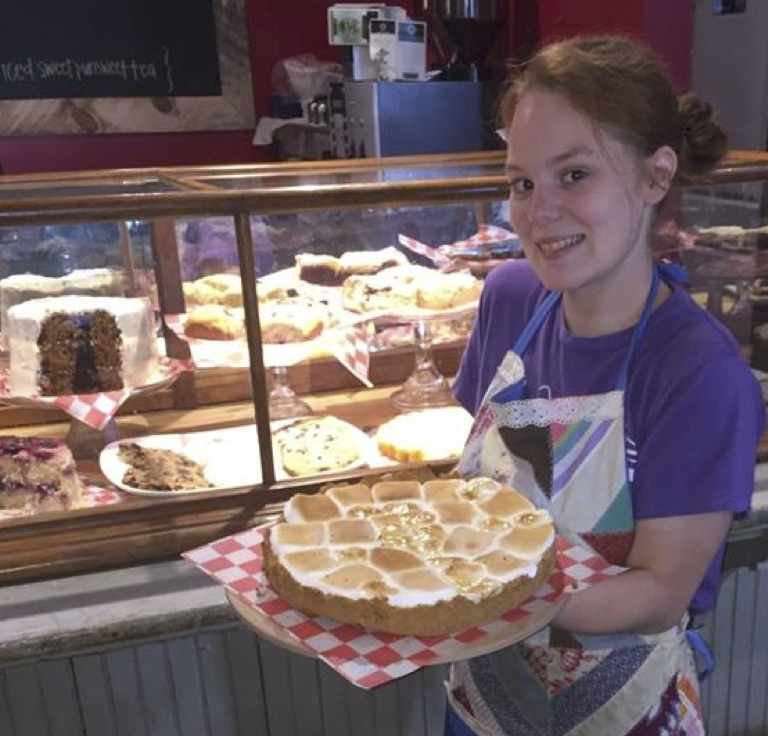 Stop in and try this place when you get hungry in Jasper -- or if you are in the mood for some delicious homemade desserts and fresh-brewed coffee or cappuccinos. Located at 207 N. Stone Street. Phone: (870) 446-2345. Low Gap Cafe, located on Hwy 74, up over Mt. Sherman or up from Ponca. Open Wed and Th. 11-8, Friday & Sat. 11-9. 870-861-5848. Hwy 21 S - Near Hwy 412 & Hwy 21 S Jct. Great restaurant, delicious food, friendly staff. Riders love this bar & grill at Bull Shoals Lake. Very motorcycle-friendly. 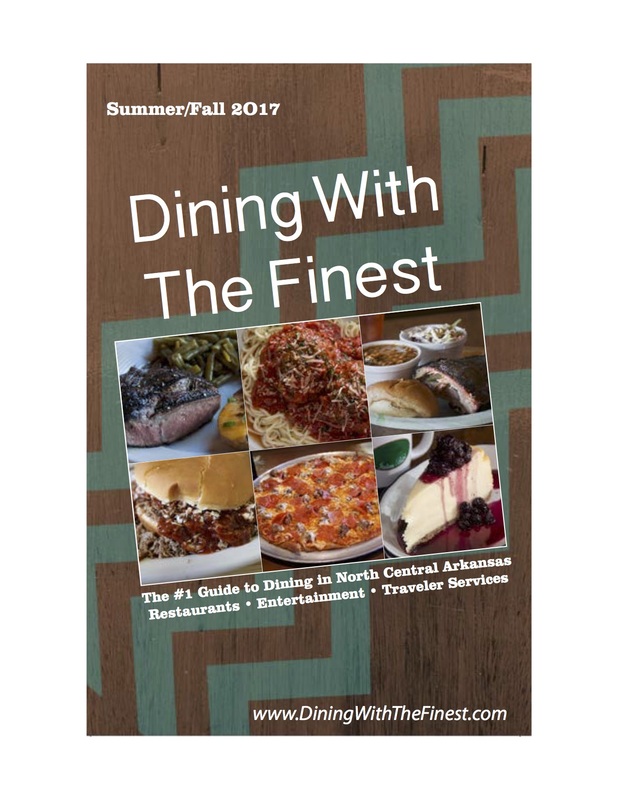 Check out their online menu at: DiningWithTheFinest.com. T's BBQ - Harrison's newest BBQ restaurant serving up award-winning food. Dine in or carryout available. Also they offer catering and delivery in and around Harrison. 108 Lakeshore Drive, Harrison. (870) 741-7675. Famous for homemade food like their fresh rainbow trout, tender steaks and delicious Italian dishes, DeVito's is a family business that has been serving customers since 1986. Locals and visitors alike love the classy atmosphere and friendly service, and their menu is replete with sumptuous, mouth-watering meals - there is something for everyone! 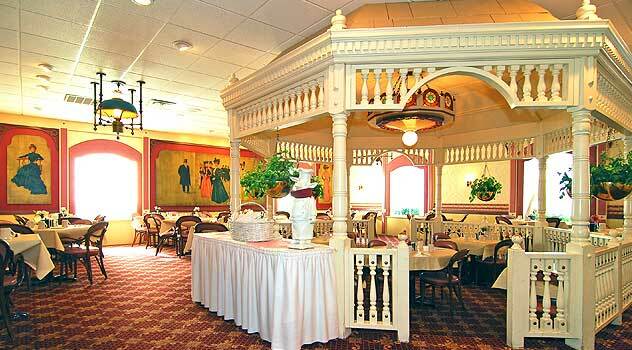 Come as you are in casual attire and relax here for fine dining. They take pride in using only the finest foods and ingredients, USDA Choice steaks, plus they also have a very popular children's menu for family gatherings too. Open evenings for dinner, and Friday and Sunday for lunch. One special feature of this restaurant: they have their own trout farm, and you can call ahead for an appointment to fish for your own dinner! Details on their website: www.DevitosRestaurant.com Available for large parties with advance notice. This hometown family business is a very popular dining destination in Harrison. Delicious food and friendly service. Their motto: 'Break Bread With Neighbors' underscores how you'll feel when you get to enjoy dining in this comfy restaurant. Hand-crafted hearth breads, nutritious sandwiches, cookies, muffins, pastries, locally roasted coffees. Open for breakfast, lunch, or dinner. You'll love their grilled sandwiches, cold sandwiches, signature salads and soups, and the most delicious breads and baked goods. Neighbor's Mill grinds their own flour on an antique grist mill right in the store, and you willl notice the difference in freshness with every tasty bite. Start your morning off right by ordering from their breakfast menu. They also offer a Kid's Menu, and Combo Meal specials. Dine in, dine on the outside patio, or get it and go with their convenient carry-out. Call ahead for catering services. Open Mondays thru Saturdays, closed on Sundays. Western Sizzlin' - Tender steaks grilled just right, hearty all-you-can-eat food and salad buffet. Dragon King- Excellent all-you-can-eat buffet. Chinese dishes, mongolian stir fry bar, sushi menu. Kids menu. Dine-in or carry out. The Dragon King Restaurant in Harrison, Arkansas. Delicious food bar, plus our favorites: the wide selection of sushi, as well as their Mongolian bar where you select what you want and they will stir-fry fresh ingredients to perfection. Dragon King is an excellent choice when you are craving Oriental food in Harrison. Easy access to this family-style restaurant on Hwy 65N, just south of the Arkansas Visitor Welcome Center on Hwy 65N. (Look for their sign on the left) You will find something for everyone on their all-you-can-eat food buffet, or order your favorite dish from their extensive menu. Dine-in or carryout your favorite dish. Kids Menu available. Prices are excellent. Check them out when you get hungry in Harrison! This cozy little pizza place opened just a few months ago and is already getting rave reviews from locals in Harrison. They serve lunch and dinner. Good place to go for groups and families with kids. Fresh baked pizza all day, every day. They offer dine-in, take-out. Locally owned. You'll love the friendly service and laid-back atmosphere. Their menu includes something for everyone - feast on a whole range of delicious pizza and salad to choose from on their 'All-Day Buffet' when you are dining here. Located in the Liberty Plaza north side of Harrison, at 1309 Hwy 62/65N, across the street from entrance to the FedEx corporate complex. Lilliehobbs Mercantile - Enjoy great homestyle cooking, delicious desserts and much more at this new dining spot about 9 miles north of Harrison, Arkansas right along Hwy 65N. Bakery, antiques and artwork from local artists merge to create a one-of-a-kind dining experience. Daily specials. Lunch served everyday from 11 am to 3 pm. Blacksheep BBQ; on curve on western side of Yellville. Great BBQ dishes you'll love. Featuring real wood pit BBQ, huge burgers to satisfy any size appetite. Try their famous brisket. 870-449-5637. Blue Eye Burgers Blue Eye, MO. At the junction of MO Hwy 86 and Hwy 13. 417-779-1146. Plenty of level bike parking. Dine-in or take-out menu. Open Tues.-Sat. 10:30am-7pm. Closed Sun & Mon. Ozark Mountain Pizza -- Branson West, MO Delicious pizza, subs, pasta and more. Located next to Stonebridge Welcome Center on Hwy 76, in Branson West. Delivery, carryout or dine-in. 417-386-4210. Open 7 days a week.